For generations, the sight of a slow curl of smoke rising from the chimney was recognized as a welcoming invitation to warmth. Now it’s the condensation streaming from a HVAC vent pipe. 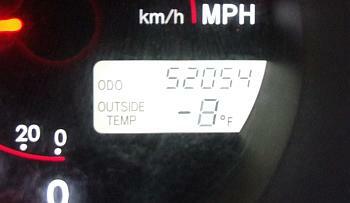 But the thermometer in my car had a different opinion. I don’t care who you are, that’s cold, son.